This 3 day muscle building split is going to add some mass to those bones. Couple this workout with a good diet and will gain a lot of muscle and strength. The goal of this workout is to get you some meat on those bones. This workout is intended to be run for at least 12 weeks and honestly should be run for as long as you have goals of getting bigger. These all add flavor and healthy fats to your diet. Personally, I prefer adding calories through this means instead of going to McDonalds and smashing a couple McDoubles. Without a good diet, supplementation is mostly a waste of money. I will be the first to tell you to spend money on some good meats than a jug of protein. For those who have their diets in check, here are the supplements I would use with this routine. I personally like apple mango, but all flavors are good. This is a great blend without too many stimulants. This is in my opinion the best tasting protein on the market. Period. Great blend with no secrets, no amino spiking, and it is some of the best in the industry. So far I’ve had Red Velvet, Cookies and Cream, and Key Lime. All are A+. 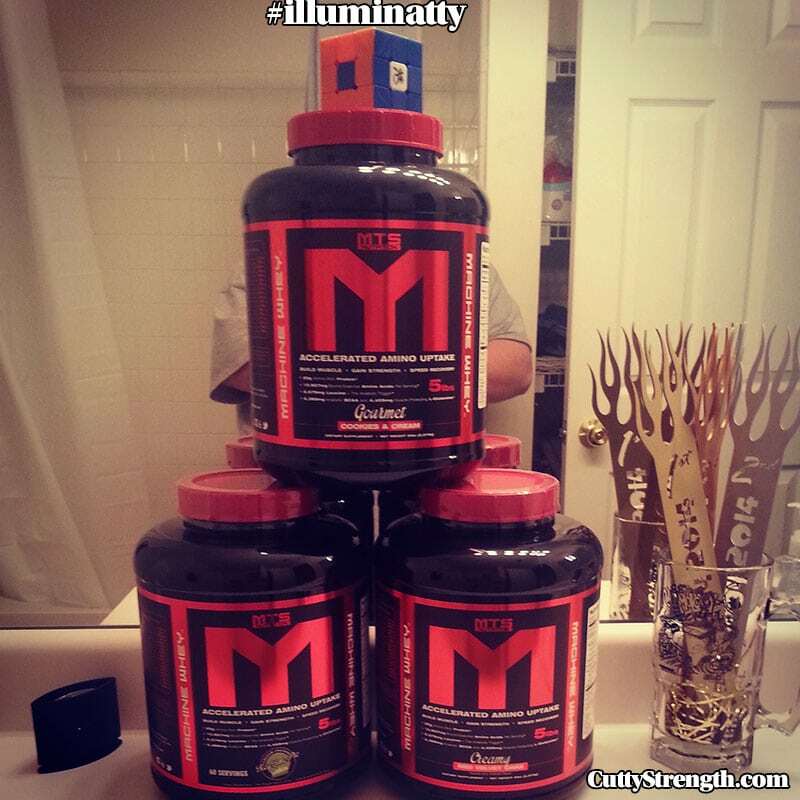 Marc Lobliner has his sweetening on point with these supplements. I’ve used mixed berry and grape and I love them both. I have a review of Optimum Nutrition’s Creatine and it’s a tried and true supplement. It will help with performance and recovery. I highly recommend this. Conditioning is one of the most important things you can work on to improve your lifts, endurance, and stamina. Improving conditioning also improves life out of the gym. This particular routine focuses a bit on conditioning, core strength, and mobility. Once you start lifting relatively heavier weights, you’re going to start breaking form because of muscle weaknesses, lack of conditioning/muscle endurance and mobility issues; so lets address them here. For your pre-workout warm up, start by walking for 3 minutes and follow-up with a 30 second balls-to-the-walls high intensity sprint. Finish off with 90 seconds of walking. This “shock” is going to prime your body to train hard and helps get your core body temperature up. I’m not big on citing research materials and I sure as hell am not interested in doing the scientific leg work, but doing high intensity interval training will help improve your muscle and strength gains. This sounds like some special formula but it isn’t; this is a template, if you don’t follow it exactly, you’re fine. What I want to make you aware of is warming up and priming your body for high intensity training. Don’t get stuck on the numbers, if you have poor conditioning, add longer walk (resting) periods and strive to recover faster. 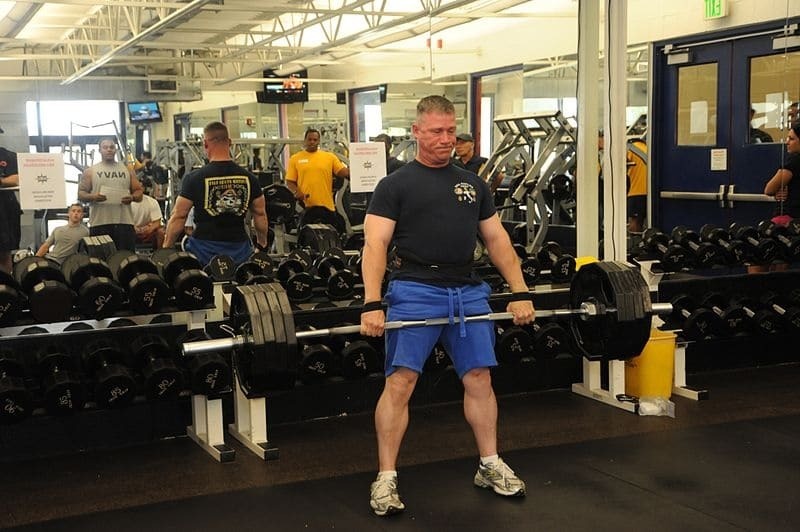 Progressive Overload – Every time you step foot into the gym I want you to try to add 5 pounds to the bar or another rep to the exercise. The only way to get bigger and stronger is if you progressively add more resistance; doing the same weight will not help at all. Get enough recovery – This routine is a 3 day routine because you need to recover between days to really see any progress. You can beat down your body every day in the gym but if you do not recover properly, you are just spinning your wheels. Growth happens in the kitchen and while you sleep. Sharing is caring, and as always leave any comments or questions below! First of all I wanna thank you for this amazing workout plan. Done with the second week and I can already see some great results. What I wanna know is how much rest time do you recommend between sets and exercises. Also sometimes when I do arm workouts like cross body hammer curls, One arm (preferably right) hits all the reps where as the other can hit like 2 or 3 less. Could you maybe tell me why that is? Greetings! Rest only as long as you need to, but if you have to rest longer than others, that’s fine. Once you start learning to read your body you’ll know when the time is right. You won’t have to sit and stare at a clock, etc. But for compound lifts try 60 seconds between sets and 45 seconds between smaller lifts like the cross body hammer curls. One side of your body is dominantly stronger than the other, this is normal. You could always finish everything as you can and then at the end grab a lighter dumbbell and throw in another set for the extra volume to help try to balance that out. Thanks, would you say this is a better work out them a full body one? I used to do full body but then I stopped because it took too long and I couldn’t fit cardio at the end of my sessions. I believe fullbody routines can work, but I think that going one step further with a workout like this can yield better results. For the close grip bench press, would I be focusing more on the inner chest or the triceps? What is going to be the best program for me being 6’7′ and trying to gain overall mass? I am currently only 201Lbs 🙁 I have been up and down in my training and have gone from as low as 175-215 but have never been able to get past 215. Consistently using any workout and eating more nutritious foods is the answer. Seriously Justin, I have friends that aren’t as tall as you but are holding 225-250lbs and sub 19% bodyfat just by being consistent and eating enough food. If you’re having troubles eating more food, start adding a little bit more fats – you know, cheese, sour cream, olive oil. Don’t be afraid of the nutritious foods. They are what pump us full of life. Strive to lift one more rep or add 5 pounds to the bar every week and you’re going to make progress, I promise. I have been lifting for a number of years now but naturally have quite skinny arms, so would you recommend lowering the reps for any of the bicep and tricep exercises? Thanks. I think weight manipulation does more than rep manipulation. If you are weaker in something, it’s best to attack it to make it stronger. I’m not saying you should do countless arm exercises, but many exercises here also carry over into others. So the stronger your curls are, the better you can stay in your groove on bench. I never really put a lot of emphasis on my arms other than for performance and I’m certainly okay with it.